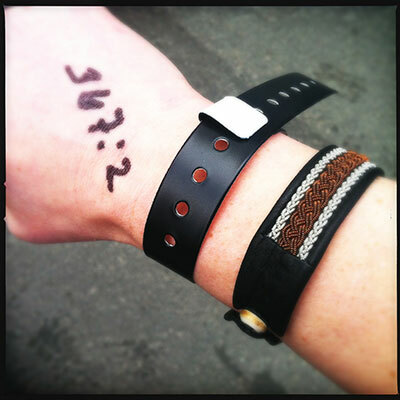 On the day of the last show at Friends arena, I got there early and got number 481 in line. We had a calm day and we got into the arena. Me and some friends were standing in front of Steve, six or seven rows from the stage. There was really no surprise that we got The Born in the USA album played from top to bottom. There were a lot of party songs, but I still felt a bit bored since it was a rather conventional show. Sprit in the Night was really good, Cover Me was so tight and it was great fun hearing Raise Your Hand and Rosalita. Those were the best songs for me. But I think Friends arena is a bit too big for the intimate and interesting shows. It’s a pity, I hope Bruce stays at home for a while now and when he gets back on tour I hope he will play smaller venues. The second show at Friends arena brought us a different opening, My Love Will not Let You Down followed by Leap of Faith and I’m a Rocker, sent the audience dancing straight away. I’m a Rocker was a delight, especially since it was a request from a friend of mine. He got really happy! 😀 Then we got the album Darkness on the Edge of Town, top to bottom. A truly great record and stunning performances on Adam Raised a Cain and Racing in the Streets. Open all Night and Seven Nights to Rock was great party songs at the end of the show. This night was much more actionpacked than Friday’s performance. 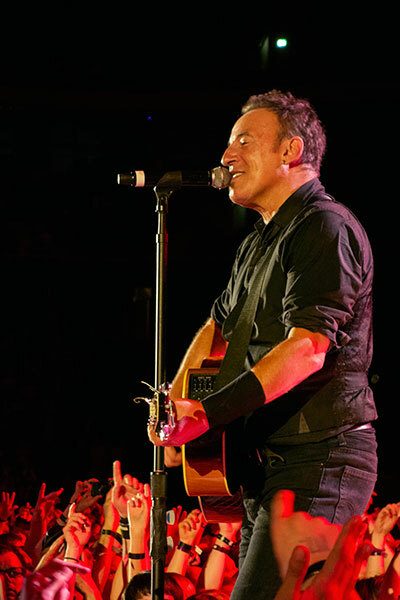 Bruce and the band will do two shows in Turku, Finland, next week before they come back next Saturday on May 11th. 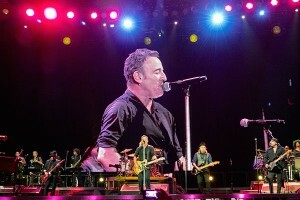 So finally it was time for Bruce Springsteen and the E Street band to play the new venue in Solna, Friends Arena. The arena is brand new, built for concerts and national fotball games. The capacity is some 50 000 persons, but the arena is in a place that still is a construction site, so it’s not so easy to get there. Or rather, to go home after the show. The commuter train and the subway is 20 minutes walk from the arena, so it takes time to get home. 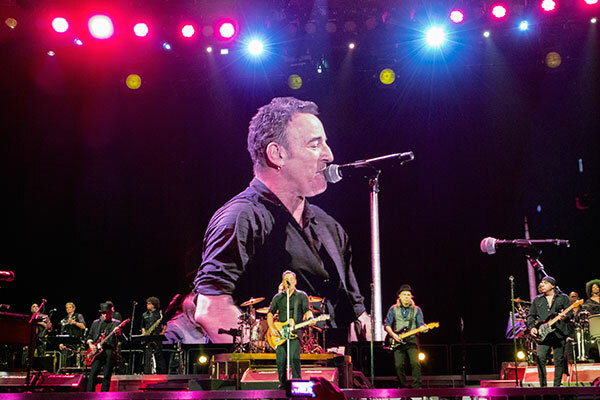 Anyway, Bruce and the band played much of a standard Wrecking ball-set, but the difference was that they also did the whole Born to Run album, top to down. That was a really striking moment. We even got the rare Sad Eyes-part in Backstreets, so it was really nice. 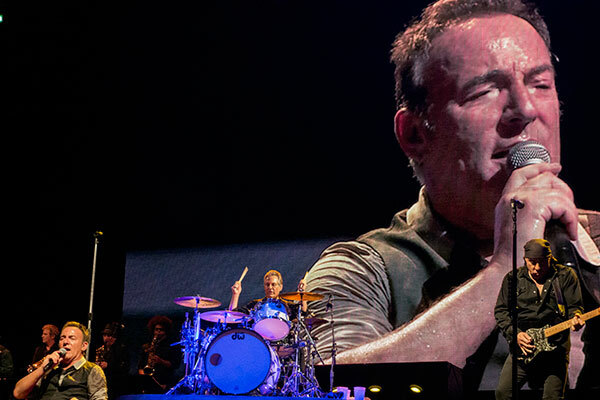 Another highlight was Bruce’s solo performance of Mountain of Love. And Elliot Murphy was a guest artist when the band played Glory Days.